In recent years wildlife has returned to Brant Lake. Bald eagles, an occasional moose, loons and wild turkeys. Because of laws to deter acid rain and a concerted effort to rid the lakes of invasive species, the former denizens of the North Country once again populate the area. Thus, I was not surprised to come upon a nest of wild turkeys hidden beneath the branches of raspberry bushes on the path above the cider house. Few people take that route past the horse barns except for the forrester splitting firewood. The mother turkey, nestled in the brush, certainly did not expect me to wander into her area and I did not expect to meet a turkey. With a raucous flapping of her broad wings, she flew out of the nest and I, careful not to discourage the bird from returning to care for her eggs, turned and made my way home. Over the summer months I often spotted the seven baby turkeys and the mother parading in front of my house. By early fall the chicks, now fully grown and able to fly, broke out of line and foraged for seeds and an occasional grub. Then they disappeared. Suddenly. Two weeks before Thanksgiving. Each morning I scattered extra portions of sunflower seeds, with the hope of enticing the turkeys to revisit, for they had become part of my family. But the turkeys had departed. Where? The answer to that question remains a mystery revealed only in the realm of turkeys. 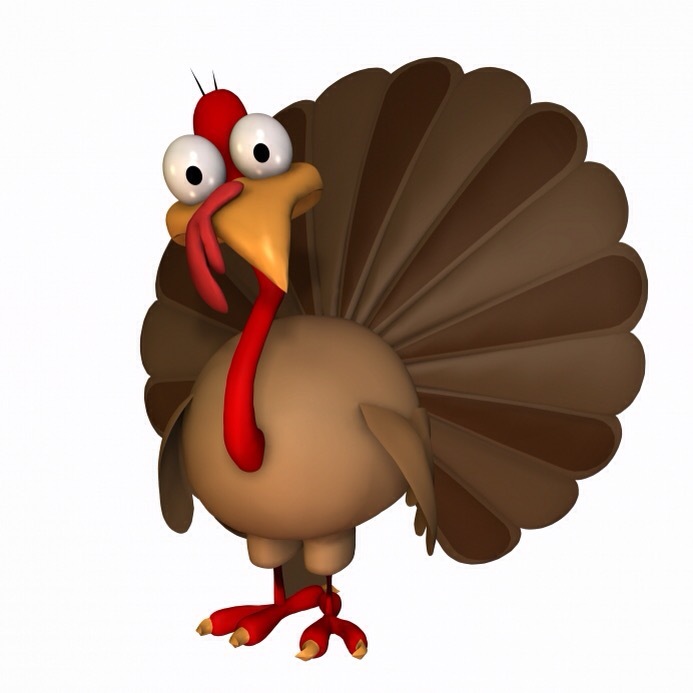 Day after day passed until, finally, Thanksgiving arrived and I thought about turkeys and their tie to the holiday. According to one legend, in the 16th century a fleet of Spanish ships preparing to attack England sunk and Queen Elizabeth ate a goose to celebrate the event. The early settlers in America roasted turkey to commemorate that moment in history. Edward Winslow, a pilgrim, also mentions hunting turkey for the Thanksgiving meal. Whatever the actual bond between Thanksgiving and turkey, this season is not a good time to be a turkey. Was it possible my family of turkeys had been shot and were sitting on the neighbor’s table? Then, the day after Thanksgiving, as I was eating turkey leftovers, the turkeys returned and circled the house. While I stoked the fire in my fireplace, and red embers shot up the chimney, I heard a constant ticking sound on the glass of one of the French windows. The mother turkey. What was she doing? Tap. Tap. Tap. Finally I understood. The turkeys had taken cover in the days before Thanksgiving. The simple act of survival. And now, danger past, the mother turkey wanted to visit a human and acknowledge her gratitude for outliving the danger of another Thanksgiving. Personally, I would have recommended that the turkey choose St. Paul’s Church to offer thanks, but I appreciated the gesture. Often people refuse to give thanks. At least one turkey knew better. I so enjoy your posts…being here in Fl is wonderful…but, at this time just prior to the holiday I miss Gracie and Melissa and Scott and the rest of the family and all of the friends. I’ve been getting posts about the search for the lost hunter ..there were 265 who showed up yesterday for the 6th day of the search..meanwhile at the town halland firehouse local people have pulled together , as only Brant Lakers can and do, and they are preparing meals and doing what they can for the family. I hope to see you and Anne over the hoiliday season. Enjoy Thanksgiving.